In mid-1990s South Africa, apartheid ended, Nelson Mandela was elected president, and the country’s urban black youth developed kwaito—a form of electronic music (redolent of North American house) that came to represent the post-struggle generation. In this book, Gavin Steingo examines kwaito as it has developed alongside the democratization of South Africa over the past two decades. Tracking the fall of South African hope into the disenchantment that often characterizes the outlook of its youth today—who face high unemployment, extreme inequality, and widespread crime—Steingo looks to kwaito as a powerful tool that paradoxically engages South Africa’s crucial social and political problems by, in fact, seeming to ignore them. Politicians and cultural critics have long criticized kwaito for failing to provide any meaningful contribution to a society that desperately needs direction. As Steingo shows, however, these criticisms are built on problematic assumptions about the political function of music. Interacting with kwaito artists and fans, he shows that youth aren’t escaping their social condition through kwaito but rather using it to expand their sensory realities and generate new possibilities. Resisting the truism that “music is always political,” Steingo elucidates a music that thrives on its radically ambiguous relationship with politics, power, and the state. "Gavin Steingo has written an original, stylish, subtly-layered and admirably nuanced history and critical analysis of one of South Africa’s most distinctive and dominant forms of urban music. . . . As one of very few monographs to tackle African electronic music, this is an original and very absorbing ethnomusicological book that admirably maintains a fine balance between critical theory and attentive sensory ethnography." 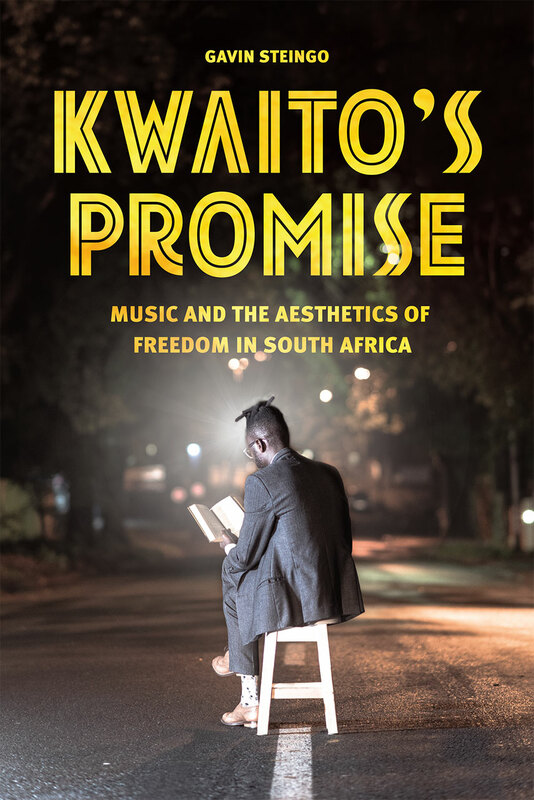 "Kwaito’s Promise is an invaluable resource for scholars interested in contemporary South Africa, African music and popular culture more broadly, and the relationship between aesthetics and politics. He uses lyrical and musical analysis sparingly and compellingly to forward his central arguments. It outlines important new directions for studies of popular culture and media in Africa and beyond, particularly in how it intervenes in the ways we conceive of global flows, technology, aesthetics, and ultimately, freedom itself." "'The word "kwaito,"' writes Steingo in the Epilogue, 'can be employed only timidly, awkwardly, and at risk of error' (215). As its bold yellow typeface on the book’s cover confirms, there is nothing timid or awkward about this monograph’s discursive grappling with kwaito, or in its ethnographic and critical engagement with aesthetics and politics. The text is ethnographically rich and theoretically compelling. And if leaning so heavily on theory from the Global North in order “to think the politics of aesthetics from the perspective of Africa” seems contradictory at first, it is possible that in doing so the author may have achieved the ultimate homage to kwaito: an emergent discursive model that mixes freely over the randomly available tracks of circulating (international) theory." "Kwaito’s Promise is an outstanding success. . . . By both raising and sparking ambitious questions, Steingo’s book does what the best books do: it gives us a lot to discuss while decidedly advancing our ability to partake in those very conversations." "Gavin Steingo’s study of kwaito’s inception, development and reception in South Africa is based on ten years of ethnographic research that included living for a year in kwaito’s birthplace, Soweto, and performing and recording with kwaito musicians. He gives readers an account of the political history of South Africa contemporaneous with the musical history of kwaito from its birth just prior to the death of apartheid in 1994 through the first two decades of post-apartheid ‘freedom’ in South Africa. . . . Steingo’s creation of a music ethnography that engages and goes beyond existing critical theory to articulate a theory substantiated by the example kwaito also achieves his aim to contribute to ethnomusicology, the discipline. . . . This book is a must-read for those seeking to understand how and why ethnographic research is essential to practice in ethnomusicology." "Kwaito’s Promise represents an important means to comprehend the circumstances that gave rise to and currently shape kwaito. . . . While Steingo’s ethnography focuses mostly on the music in Soweto, the richness of ethnographic details and connections made to broader social issues occurring in the country allows readers to better comprehend the relevance of the music. For this reason, the ethnography will be a valuable resource for anyone wanting to learn about this significant form of popular music, as well as comprehend aspects of daily life in urban South Africa that give it shape and meaning." "Having completed the book, Kwaito's Promise is doubly interesting. On the one hand, the book provides a wealth of exciting information about the world of kwaito—its operation, its production processes, its circulation, and, more broadly, the daily life of people in Soweto. From this perspective, the book is at present indispensible. On the other hand, the book raises important questions concerning the analysis of the relationship between music and society; if the answers it provides may not seem satisfactory, at least to the author of this review, the in manner in which they are asked about kwaito forces us to pay all the more attention." …Steingo joins a number of other ethnomusicologists since the 1980s who, rather than merely borrowing theory from other disciplines to apply to musical objects, bring humanistic theory and musical ethnography together in ways that contribute uniquely sonic perspectives to interdisciplinary conversations. Such scholarship does not just produce knowledge about music, but, moreover, results in scrutiny of the production of knowledge itself and the effects of scholarship in shaping and reinforcing already-held views of music, the social, and the human… [S]uch reflexively critical scholarship in ethnomusicology is not one current trend equal among many, but rather reflects a necessary sea change in humanistic scholarship. Kwaito’s Promise exemplifies the ways in which ethnomusicology cannot just follow the tides, but rather must actively contribute meaningful and unique perspectives to critical conversations across disciplines. [Steingo’s] incisive ability to understand the genre’s music industry and consumer milieus and theorize convincingly about them has produced insights that go far beyond the obvious in revealing the realities of kwaito’s practitioners (both the producers who manufacture it and artists who work for them) and its consumers. His analytical prowess is admirable. Finally, this book is a must-read for those seeking to understand how and why ethnographic research is essential to practice in ethnomusicology. ‘commonly understood as the expression of freedom’ in post-apartheid South Africa. Combining granular ethnographic research in Johannesburg’s Soweto with a panoramic analysis of the political, economic, and psychic realities of race and citizenship in contemporary South Africa, the book is a deep meditation on freedom, aesthetics, and the sensory."